Retiring to Florida? 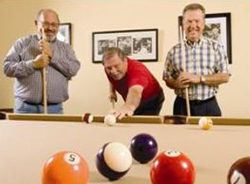 Golf Retirement Communities Let You Pursue Your Hobby! Florida golf retirement communities are one of the best opportunities for active retirees, and Century Residential has a great one. Come check out Vienna Square! Offering both maintenance-free condominiums and very low maintenance houses that are luxurious and designed to be safe and comfortable for seniors, this is a golden opportunity to obtain the perfect home for your retirement. Not all Florida retirement communities are the same. 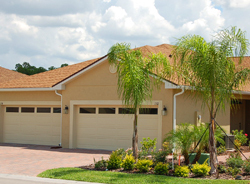 Vienna Square is designed for discerning seniors who love to golf and live life to the fullest. With three country clubs and two golf courses in the area, you will always be able to find a game. You will have plenty of time for those games too, because you will never have to mow the lawn here. That is just one of the maintenance services that we handle. Golf is important, but there are other considerations when buying your retirement home. 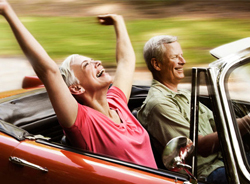 There are lots of retirement options in Florida. Golf retirement communities that focus solely on golf may be perfect for one spouse, but not the other. Vienna Square is situated to allow for a broad range of interests. Located between the two coasts of Florida, with mild weather and plenty of beaches, lakes, springs, and parks nearby, it is perfect for outdoor activities. Being almost equidistant from Tampa and Orlando provides access to theme parks, museums, theater, and the arts. There are shops and restaurants, even a mall, just up the road in the town of Winter Haven. Even closer are the on-site amenities, such as our clubhouse, which includes a ballroom, movie theater, and billiard room; and our fitness center, with its tennis court, exercise equipment, and year round heated indoor pool and whirlpool. Everyone talks about sustainability in the environment, but a community has to be sustainable too, which means it has to adapt to changing conditions. We would like to think we will be healthy and never need extra care, but that is simply not true. Whether we need temporary care due to an illness or injury, or permanent care due to the aging process itself, it is necessary that your retirement community be able to supply the extra care when you need it. Vienna Square’s Continuing Care Campus offers many additional services which can be purchased as needed, such as meal plans, laundry service, and housekeeping for those times when you just need a little extra help. We can also provide medication management and wellness exams for extended quality of life. 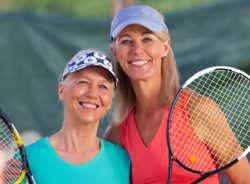 Retirement communities need to support their residents in all these ways. So contact us about coming for a visit to Vienna Square. Century Residential wants you to experience what we have to offer when you are looking at Florida golf retirement communities.